8" Tall. 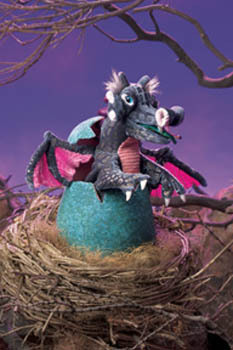 The Hatching Dragon has a blue/grey egg with a dragon inside. From beneath the egg you can move the mouth and arms.